Nine had a strong result last night as it disrupted Seven’s final night of Rio 2016 as we start the countdown on the final 14 weeks of survey. Seven and Nine tied on primary channel share with 20.8% each, but Seven edged ahead with the best combined channel share. 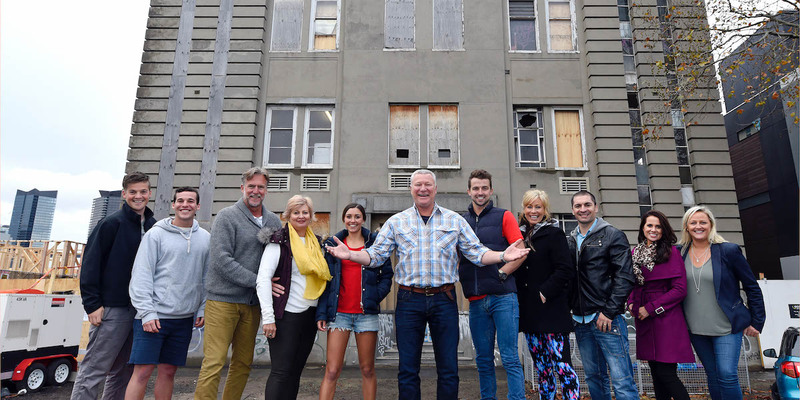 The return of Nine’s The Block did most of the heavy lifting for the channel, but the network had great support from both Nine News and 60 Minutes. For people still grappling with why Nine bothered with the Roxy Jacenko interview, the answer is contained in the Sunday ratings. The Block host Scotty Cam (center) with the contestants from season 12 of the series. Seven had its lowest number in two and a half weeks as it shared top spot with Nine. TEN’s Survivor launched with 784,000 which should be an acceptable number against two of the biggest franchises you could go up against – The Block and the Olympics. The first episode trailed The Block in the key demos for the main part of the launch episode, but TEN has noted the first tribal council ranked #1 with viewers 25-54. SBS was perhaps the surprise performer last night with two repeats securing it the channel’s third-best survey share of 2016 and getting a program well into the top 20.